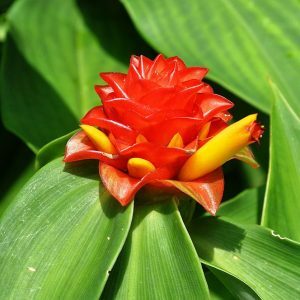 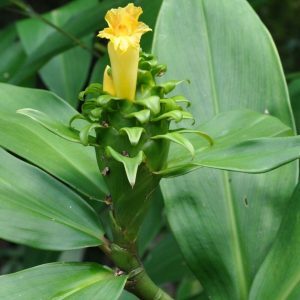 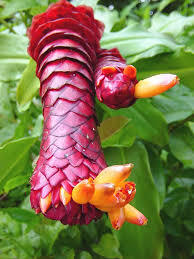 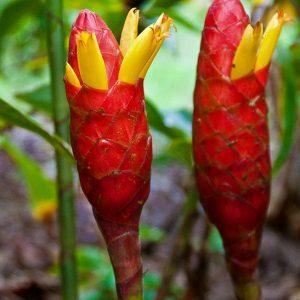 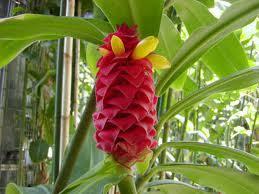 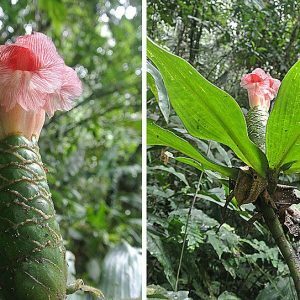 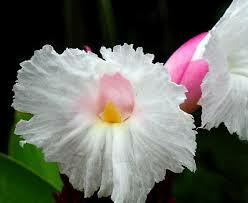 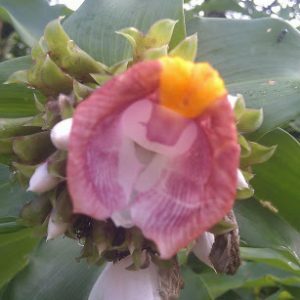 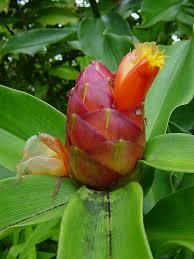 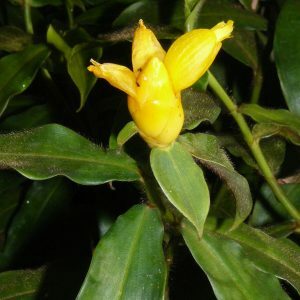 Costus is the wonderful world of spiral ginger. 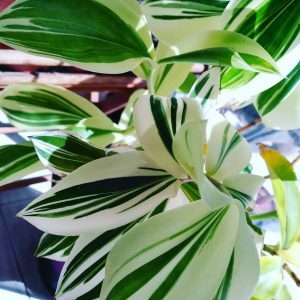 Its foliage spirals around bamboo like canes. 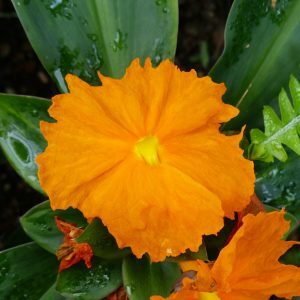 Some varieties have a velvety soft texture on the backs of its leaves, while others maybe smooth with purple undersides. 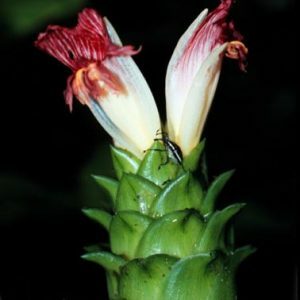 Its bracts and flowers can range from a cone like bracts, pineapple shaped or soft crepe like flowers emerging from green and red cones. 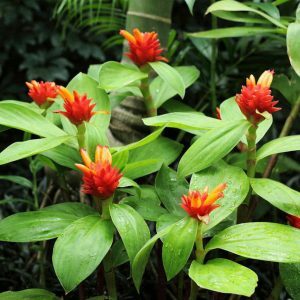 Very easy to grow, they do well in partial sun in mild climates and partial shade in hot climates. 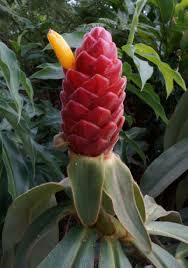 They love a rich well draining soil kept on the moist side. 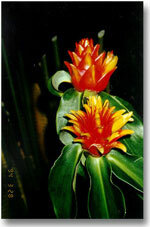 They make beautiful garden specimens or container plants for the garden or patio.